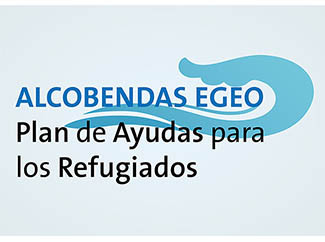 Humana joins the Alcobendas Egeo Plan which aims to help meet the basic needs of people trying to reach Europe in various ways, mainly because of the Syrian conflict. For this reason it has organized a collection of essential products to meet the remainder of the winter. 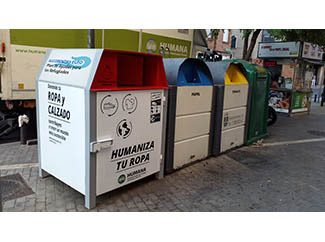 Alcobendas neighbors can work with this campaign depositing in containers 51 Humana city, blankets, clothes, raincoats, flat shoes, pants, socks and jackets. True to the principles of solidarity and cooperation with the most disadvantaged communities, the organization assumes the challenge of getting at least one tonne of clothes for refugees. The Alcobendas Egeo Plan has the support of the NGO REMAR, the local association ASOBIDE (Bipolar Disorder and Depressive Association of Alcobendas), the City of Alcobendas Foundation and the City Council. Humana containers will have a specific adhesive on the Plan calling for the cooperation of citizens. All items deposited in the containers of the Foundation will be sent to the sorting plant Foundation in Leganes, where a specialized team will select the clothes to send to refugees. From there he was sent to Alcobendas, to join the rest of clothes and gathered for food Egeo Plan. The Foundation is responsible for the management of the textile used in Alcobendas under the agreement it has with the City Council, in order to give a second life to used clothing and obtaining resources for development cooperation and social assistance. In 2015 the residents of the city donated 329 tons of used clothes to give them a social purpose. REMAR NGO, which is working on the ground, providing all the logistics such as trucks, transport and distribution of all materials to the various points and camps where they live in difficult conditions thousands of refugees for immigration crisis without unprecedented since World War II. Meanwhile, a delegation of the City of Alcobendas Thursday visited the sorting plant in Leganes Foundation in order to learn more about the management process of the textile used. The delegation was formed by Maria Castillo Villalva, deputy director general of the Environment and coordinator of Districts; José María Ortiz, Executive Councillor for the Environment, Maintenance and Institutional Relations, and Marta Martin, adviser to the Councillor. During his stay in Humana facilities they visited the garden of urban agriculture project "Cultivate Climate and Community (3C)" next to the plant. 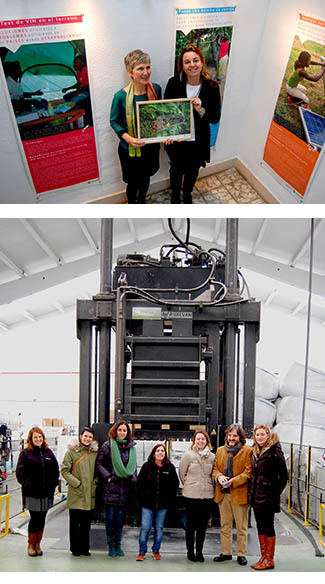 During the visit, Elisabeth Molnar, Director General of the Foundation, has delivered to Maria Jose Ortiz of one of the VI Humana Textile Reuse Awards. This is an award that Alcobendas has already received twice before and recognizes the cooperation of citizens and the Consistory in the field of textile reuse and recycling and development cooperation.